Dorothy Stevenson is a native New Orleanian and a child of the Depression Era. She has always been a student of hard work and resourcefulness. Her love of family was her impetus into the beauty industry as she tried to earn extra money as an "Avon Lady," selling cosmetics door-to-door. Soon after, Dorothy enrolled at Katie’s Beauty School to expand her knowledge of the industry. She graduated, became a licensed cosmetologist and instructor. 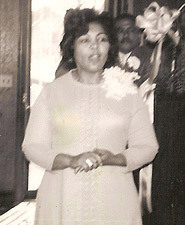 By 1952 she opened her first salon, Dot’s Beauty Salon, near Xavier University. In only two years, Dorothy Stevenson had become a business owner and industry insider. 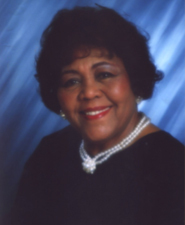 Mrs. Stevenson went on to travel throughout the country to refine her expertise and opened a second salon in Downtown New Orleans, but by 1972 she had her sights on another venture. She wanted to share her experiences with a few dedicated students and help them improve the quality of their live through the beauty industry. In 1973, Stevenson Academy of Hair Design was opened with a class of twelve students, including her daughter and son-in-law, all of whom passed their state examinations and became licensed cosmetologists. The Academy grew in leaps and bounds. Twelve years later in 1985 the West Bank campus was opened, both campuses were accredited by the National Accrediting Commission of Cosmetology Arts and Sciences and became community fixtures.